Parents/carers have asked whether it would be possible for the school to re-set the ‘Caller id’ from its ‘private’ setting so that incoming calls from the school can be recognised. 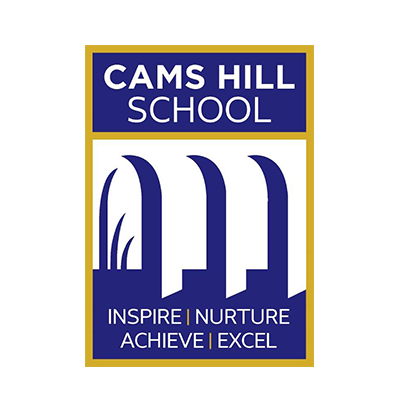 We can confirm that all calls to the contact numbers we hold for parents/carers on our system should now identify as Cams Hill School with the school’s telephone number. The safety of both pupils and staff on site is of paramount importance. Please be advised that in the event a decision is made to close/partially close the school as a consequence of severe weather (or other reason) we will publish this on the school’s website, Facebook and Twitter as early as possible to avoid unnecessary travel, as well as sending a text/email notification to parents/carers. 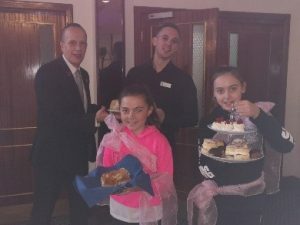 The Year 11 Hospitality and Catering pupils rose to the challenge and did themselves proud at the beginning of the week with their practical assessment. They worked very hard during the three-hour exam and produced some superb tasting, beautifully presented restaurant quality food. The skills shown ranged from vegetable preparation, pasta making, flaky pastry making, bechamel sauces, boning chicken thighs to filleting mackerel, to name but a few. Those of you who watch MasterChef or similar will know how skilful the pupils must have been to get it all completed, presented in the three hours as well as competing the best bit – the washing up! We thank parents and carers, for their support – the pupils were an absolute credit. We thank the parents and carers of Year 9 pupils for joining us at the Guided Choices evening on Tuesday – we had an excellent turn out. There has been lots of lovely feedback on how useful the evening has been and Guided Choices forms will be sent home w/c 11 February ready to be returned after the half-term break. On Friday 8 February, pupils participating in Rock Challenge will be taking part in a full day rehearsal. This will be the final chance to refine the performance and use the set. There will be a dress rehearsal in the afternoon with some pupils getting the opportunity to see the final performance ahead of the competition taking place on Monday 11 February 2019. An exciting opportunity to enter a national cooking competition ‘Create and Cook’ will be launched next week. It is designed to celebrate local foods and nurture young talent. 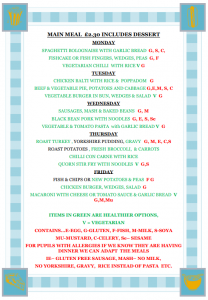 Pupils work in pairs to produce a two-course meal using 2 locally sourced ingredients. They can include home grown herbs and ingredients as well. The meal must serve two people with a maximum spend of £25.00. Dishes should have a summer theme and include a salad with dressing, all cooked and prepared in 90 minutes. 15 February – school entry forms to be handed in to Mrs Allen/Mrs Collins (You can get together over half term, trial your ideas). 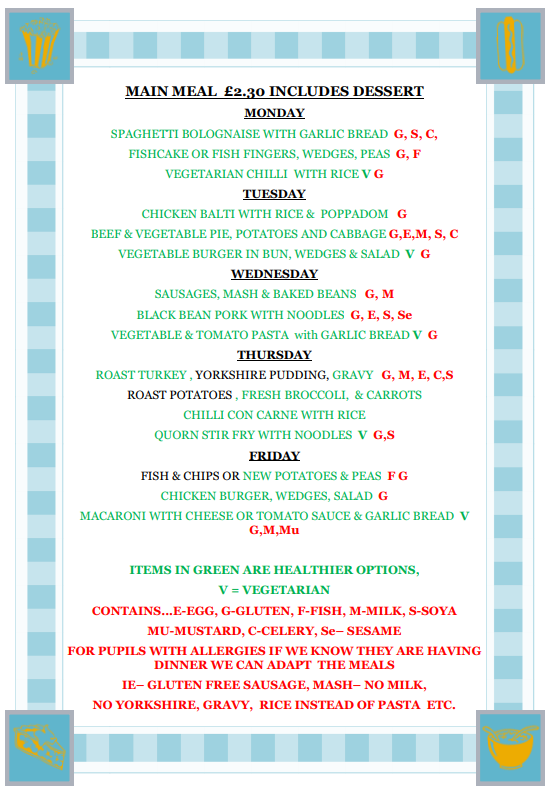 13 March – deadlines for completed ‘Create and Cook’ to Mrs Collins/Miss Allen. The pairs do not have to be in the same tutor group/Design Technology group so can just be friends or like-minded enthusiastic young people. If you would like to take part but don’t have a partner, we may be able to find someone else who is interested to work alongside you. Any questions please see either Mrs Collins or Miss Allen. 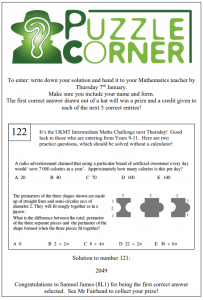 The UKMT Intermediate Maths Challenge is happening on Thursday next week. We have 80 pupils from Years 9-11 taking part in this National competition. 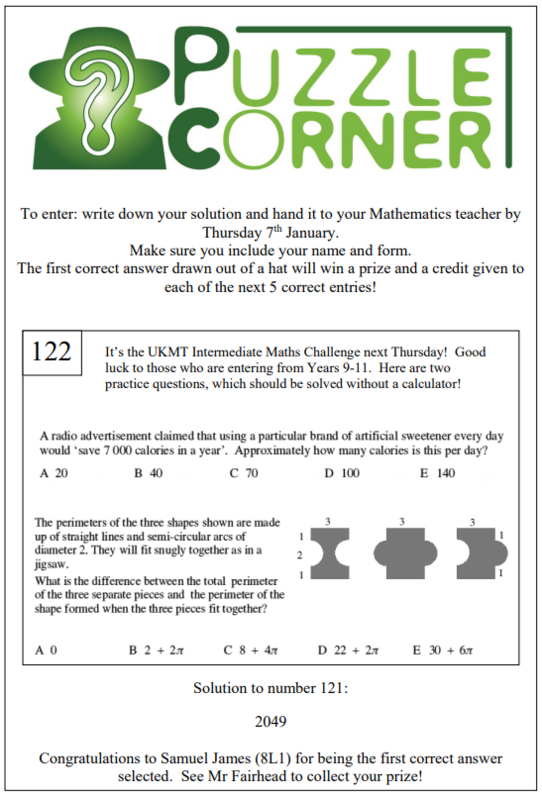 There are a couple of examples of the questions featured in this week’s Puzzle Corner. Pupils can achieve certificates for high scores and some pupils may qualify for the next round of the competition. Good luck to all involved! 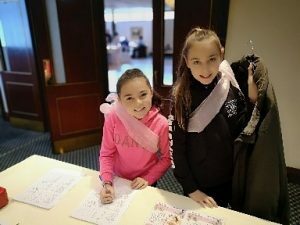 A big well done to Keira Hall and Chloe Tennant from 7H spending their day off from school on the Inset Day helping at a Cancer Charity Event at the Royal Beach Hotel. They were a credit to the school and were there all day working hard.